BAD KLEINKIRCHHEIM, Austria — After a four-week break from racing, American standout Lindsey Vonn is returning to the Alpine skiing World Cup this weekend with an unusual mindset. For the most successful female skier of all time, Vonn's main priority at the first speed events of 2018 won't be winning. With only 40 days left until her season highlight, the Olympic downhill in Pyeongchang, avoiding injuries is all that matters. "I feel solid but my focus this season is on the Olympics. So I am not going to risk anything this weekend," Vonn told The Associated Press on Friday after taking part in a shortened training session. She was worried because the snow on parts of the Karnten-Franz Klammer course was still too weak after heavy rain this week and mild temperatures. "The top is good but the bottom is not safe to race," she said. Organizers swapped the program for this weekend by pushing back the downhill to Sunday and rescheduling a super-G for Saturday, as a downhill can be staged only after competitors have at least one training run on the entire course. "I am also not sure why the super-G is first," Vonn said. "Considering the snow conditions, it would be better to do the downhill first but, again, I don't know. We haven't inspected the bottom part of the course so I am not really sure what the reason behind it is." Vonn said she would make her own decision about racing or not after checking the course on Saturday, saying she would rather sit it out "if conditions aren't good enough to run." Vonn badly injured her right knee landing in a patch of soft snow during the 2013 world championships, which ultimately ruled the 2010 Olympic downhill champion out of the Sochi Games the following year. It explains the 33-year-old American's cautiousness going into what likely will be her last Olympics. Her season so far has been rather rough. Trying to improve her ranking ahead of the Olympic giant slalom, she failed to qualify for the second run of the season-opening GS in Soelden, Austria, in October. Focusing on the speed events since, she landed in the safety netting at full speed during the first downhill in Lake Louise in early December, and finished only 12th in another downhill the next day. She crashed again in a super-G on the third day of racing at the Canadian resort where she won 18 times in the past. A week later, she jarred her back in a super-G in St. Moritz, Switzerland, completing the race in pain in 24th place. Vonn hasn't raced since Dec. 16 when she earned her 78th career win at a super-G in Val d'Isere, France. The following day, she took part in the early morning inspection for another super-G at the resort but then decided against racing, citing a sore knee, and flew home. 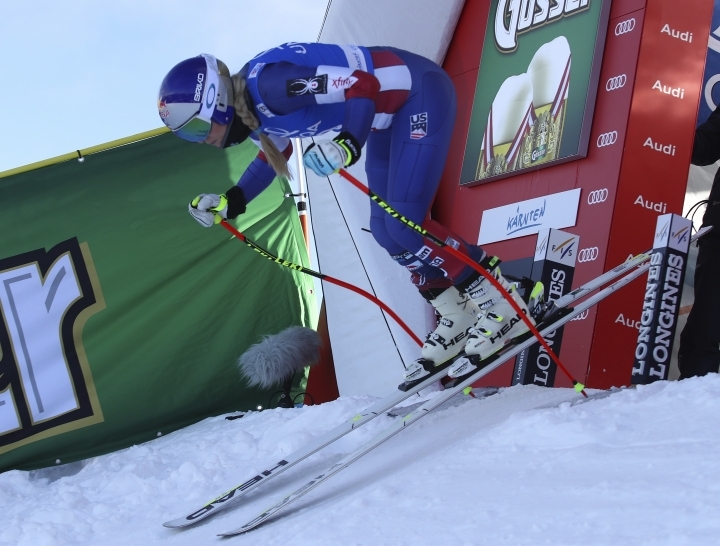 "The last race in Val d'Isere I skied very well," she said. "It still wasn't my best but I had a good block at home in Colorado. I was able to do a lot of condition training and got some GS and slalom in as well." Vonn practicing slalom underlined her ambition to start in the Olympic combined event as well. 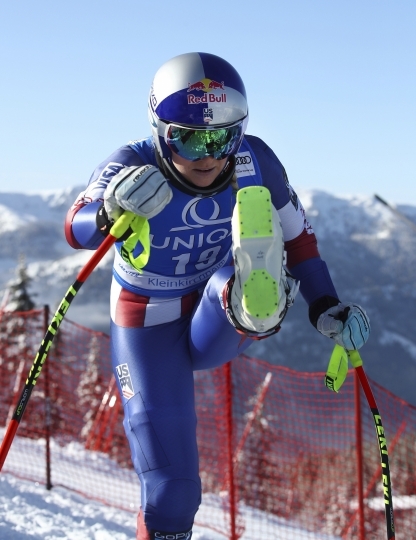 "I feel good, definitely," Vonn said, adding the knee was hampering her "not more than usual. I feel decent."